A Christian circumcision kit? Or maybe a “Do-it-yourself Exorcism” kit? 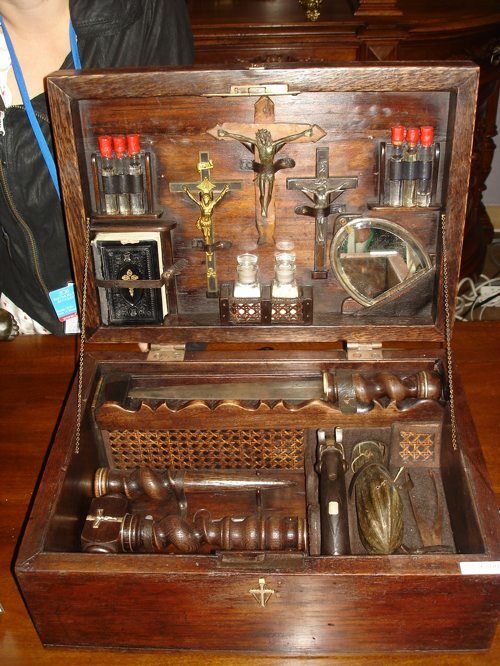 I guess either something for an exorsism or else a kit for collecting relics. that this may belong to Abraham van Helsing. But that’s probably way off. Haha!! I guessed and exorcism kit too. There’s a wooden stake in there at the bottom, so here’s a second vote for Vampire kit.